Designed to simplify pipe installation. Instant push-fit connection for increased ease-of-use- no soldering required. 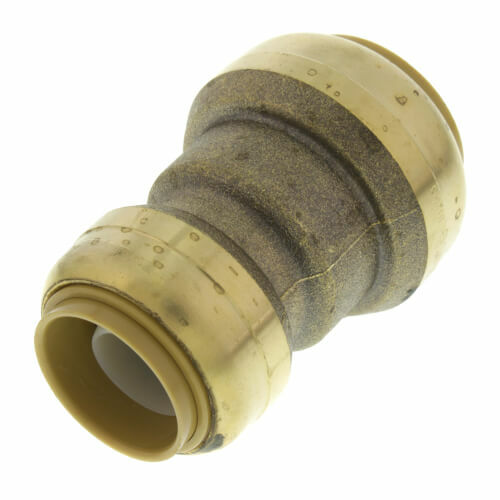 Fittings certified to 200 PSI and 200 degrees F (93 degrees C). Fits OD controlled copper, CPVC, or PEX pipe. Design certified and agency listed. Compact, corrosion resistant, robust DZR brass body. Design certified to ANSI/NSF-61 product standard for use in potable water systems. No loose components, integrated design. Approved to be used underground and behind walls without access panels. Designed for hydronic heating as well as potable water distribution. Designed certified to IGC 188. Listed by IAPMO and are certified for potable and hydronic heating water distribution. Certified for underground applications and as a manufactured joint without access panels and they meet UPC, IPC, and cUPC requirements.